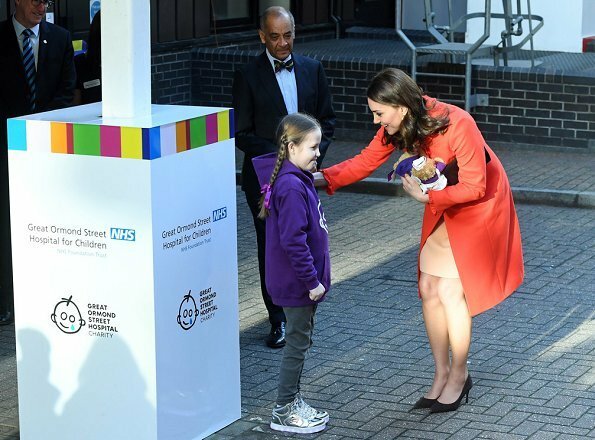 Duchess Catherine of Cambridge visited Great Ormond Street Hospital to open Mittal Children's Medical Center. 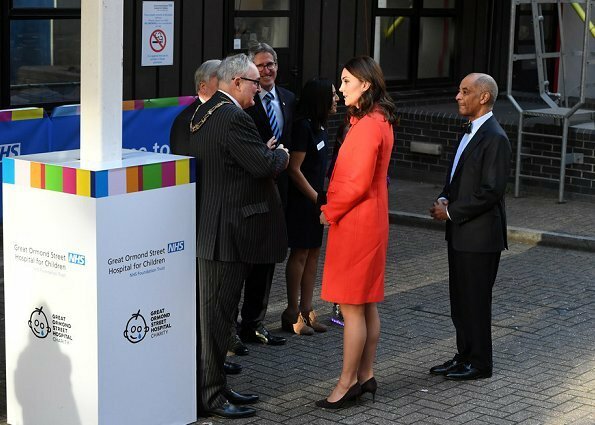 Great Ormond Street Hospital (inofficial GOSH) is a children's hospital in Bloomsbury district of Camden Municipality in London. 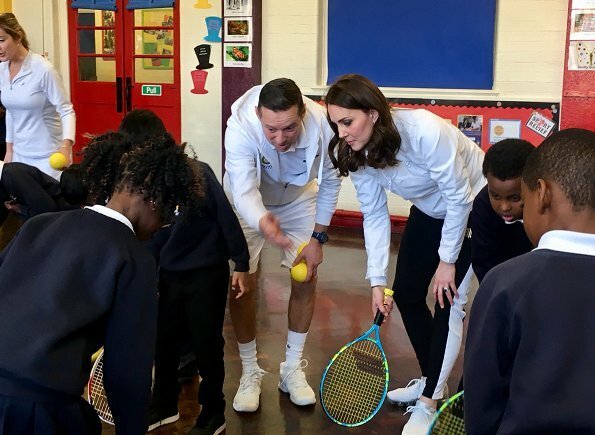 Afterwards, the Duchess will visit Bond Primary School in Mitcham in order to observe works of Wimbledon Junior Tennis Initiative. 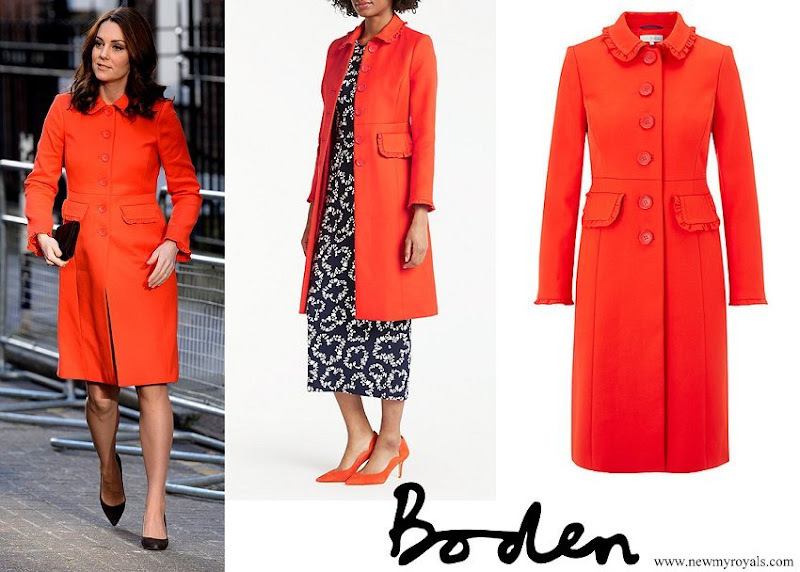 (The Duchess of Cambridge wore the £220 Lena coat by British clothing retailer BODEN). 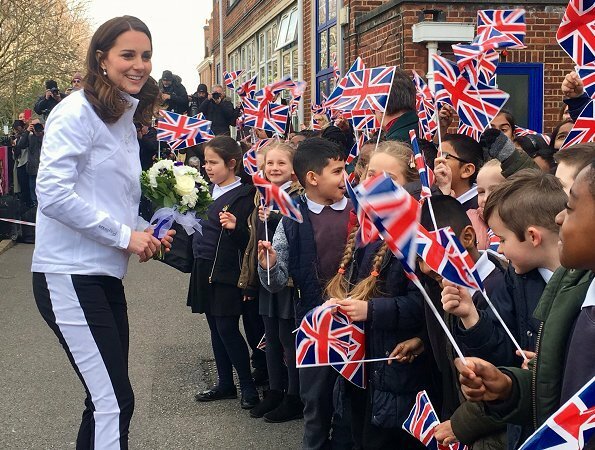 Later this afternoon, Duchess Catherine visited Bond Primary School in Mitcham in order to observe works of Wimbledon Junior Tennis Initiative. She looks very nice in this color. One thing I noticed, she does not have her engagement ring on. Maybe her fingers are getting swollen due to her pregnancy. she always looks the same always!!! She does - in a way. But it's calculated, because she's the representative of the monarchy in this job. There's not much room for fashion then. Yes. She always looks classy, elegant and ladylike! This is very beautiful coat, but the colour is too bright, looks like a tropical bird. Kate and the queen often wear shocking colours, like they have to use every colour in the spectrum of visible light. Kate looks great with shorter hair!!! And the shoes are nice. They wear bright colors so they can be seen by the crowd. That has been written about the Queen in many books. There are lots of people and to be seen through the crowd, she wears bright colors. Simple as that. It is part of their job to be seen. Nice but not my fav outfit of hers. Looks great. Love the bright colours, which suit her. 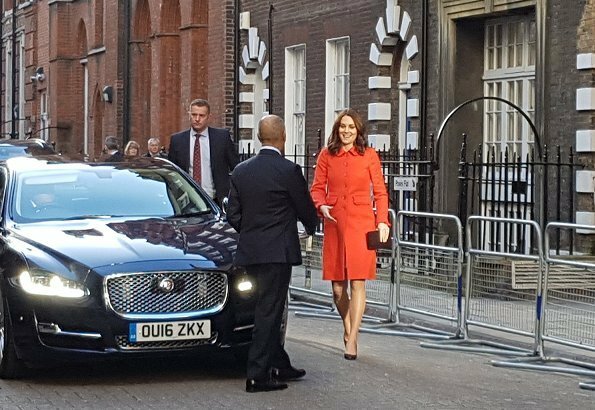 A very stylish and elegant Duchess of Cambridge. Bright colour for a grey day in London. The Duchess didn't wear her engagement ring, in adherence with the hospital’s minimal jewellery policy. On the Duchess that will adhere to policy of the place she is visiting. How sweet. 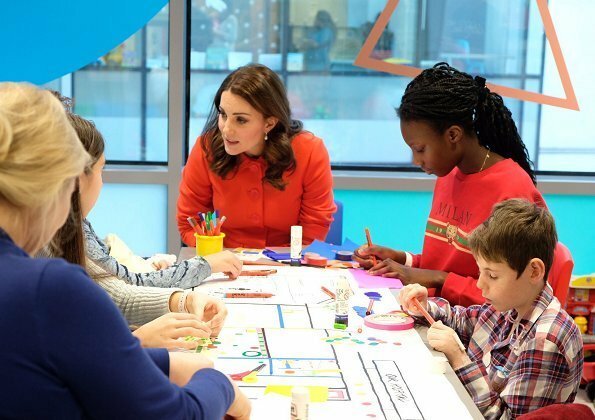 The vibrant, healthy and youthful Duchess at the Tennis Initiative. She looks 20 years younger than her age! Yes, I think you are right because it looks like she is wearing it for her vistit to Bond Primary School. I am so enjoying following the DoC's appearances as of late. She is dressing like she did early on in their marriage. It's extremely traditional, yes, but these days traditional is so rare, she's practically avant-garde. She looks gorgeous, in my opinion! Totally agree, Dara. She's always smart, well groomed and appropriate for the occasion. And as with the Queen, the bright colours not only make her easy to see but are cheering instead of drab monochrome. Think Maxima, Mathilde and Letizia (most of the time) If her baby is due mid to late April, she looks amazing for 6 months pregnant. ik vind het een hele vlotte vrouw, en nog leuk ook !!! !